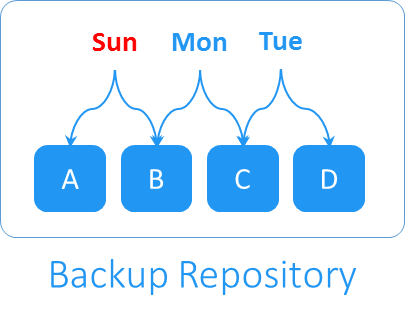 Legacy backup solutions require that you periodically run full backups, that is, if your VM size is 200 GB, a legacy backup solution will periodically back up all 200 GB over and over again, even if there are only 20 MB of changes in the VM. Alternatively, legacy backup solutions can perform forever-incremental backups but periodically require transforming those increments into full VM backups. Such approaches are time consuming, resource intensive, and require an additional storage space. NAKIVO Backup & Replication offers a better approach. After an initial full backup, all jobs are forever incremental and transfer only changes to the backup repository. The data in the backup repository is stored using the full synthetic mode, which eliminates the need for backup transformation. As a result, NAKIVO Backup & Replication can back up and recover VMs faster, use less resources, save time, money, and improve your recovery point objectives (RPO) and recovery time objectives (RTO). And here's how the data will be stored in the Backup Repository if the job is set to keep 3 or more recovery points. As you can see from above, all unique data blocks in a backup repository are stored in a single pool, while recovery points are just references to the data blocks that are required to reconstruct a machine as of a particular moment in time. Since each recovery point "knows" what data blocks are needed for recovery, there is no need to run periodic full backups, apply increments one by one to get to a particular recovery point, or periodically transform backed up data blocks. As you can see from above, all unique data blocks in the backup repository are stored in a single pool, while recovery points are just references to the data blocks that are required to reconstruct a machine as of a particular moment in time. Since each recovery point “knows” what data blocks are needed for recovery, there is no need to run periodic full backups, apply increments one by one to get to a particular recovery point, or periodically transform backed up data blocks. 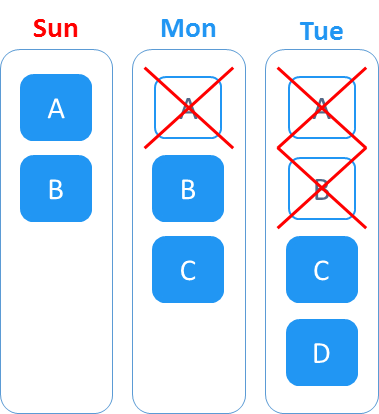 Smaller backups: Unique data blocks are stored only once and can be referenced by multiple recovery points, as opposed to storing the same data again and again in different increments. Faster backups: There is no need to run full VM backups periodically, as each recovery point already "knows" which data blocks should be used to reconstruct an entire machine. Safer backups: With NAKIVO Backup & Replication, losing a data block or an increment can still leave you with recoverable increments, depending on your recovery point retention policy. Faster recovery: With NAKIVO Backup & Replication, each recovery point already "knows" which data blocks should be used to reconstruct an entire machine, and there is no need to apply increments one by one to get to a particular machine state.